The Internet Bible Catalog » List of English Translations » Bonaventure Zerr, O.S.B. Click here for sample verses from the version by Bonaventure Zerr. Comments: Paperback octavo, VII & 332 pp. The grounds for this translation was to produce a liturgical text for public prayer. In 1973 this task had been accomplished. The text presented here is a second revision of that original, which was privately printed and had been in use in the public prayer of Mount Angel Abbey. Translated is from the Hebrew. 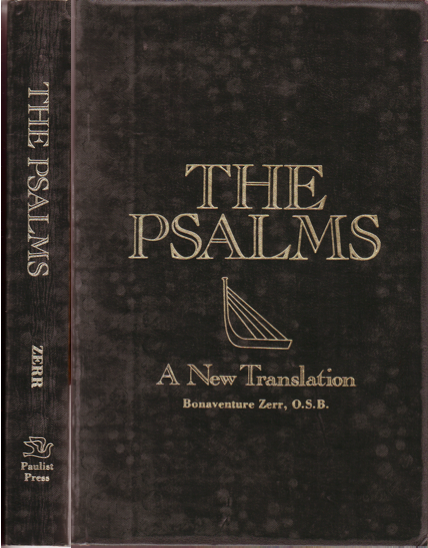 Father Zerr authored a four- paged preface, dated Aug. 1st, 1978, in which he presents the linguistic and cultural history of the Psalter, his special area of study and interest. 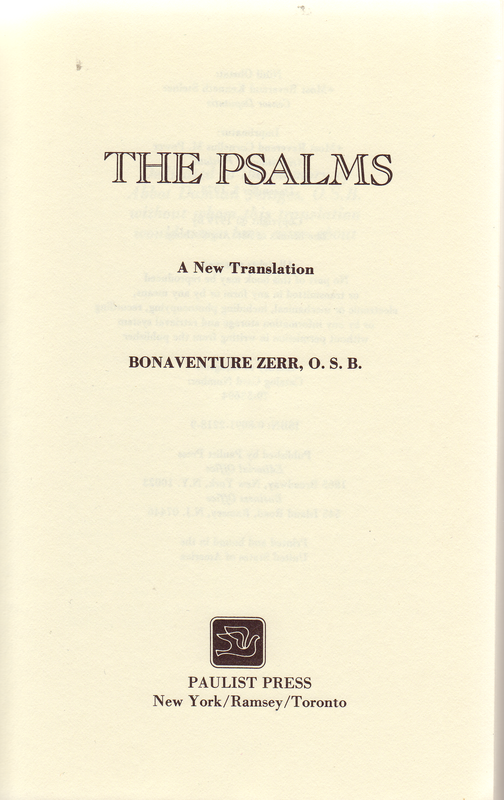 - Every Psalm is introduced, verses are numbered and interesting and difficult passages discussed. 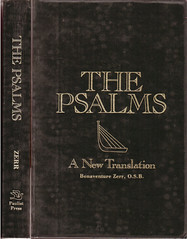 In preparing his translation, Zerr has heavily relied upon the work of F. Mitchell Dahood in his 3 vol. commentary within the »Anchor Bible« series.